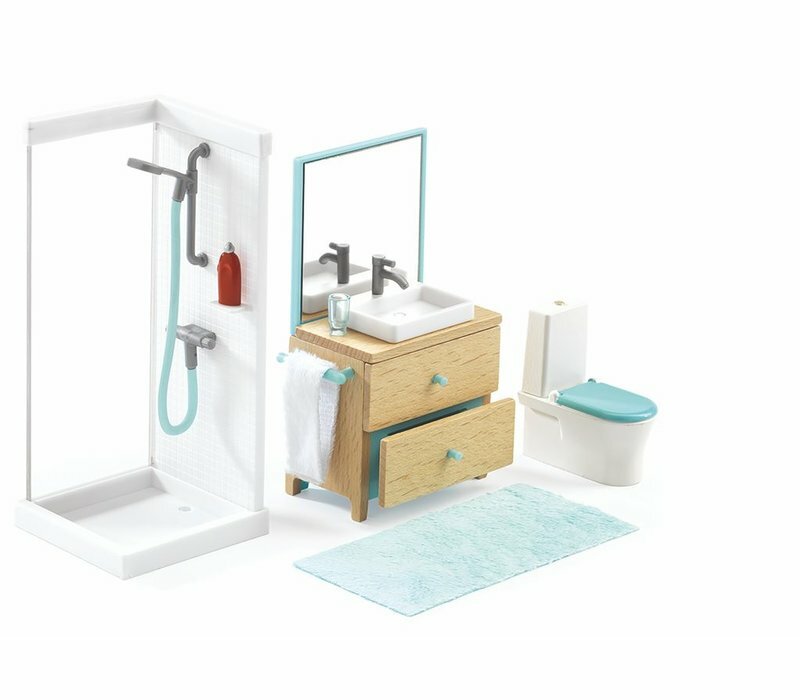 Doll's House - The Bathroom. 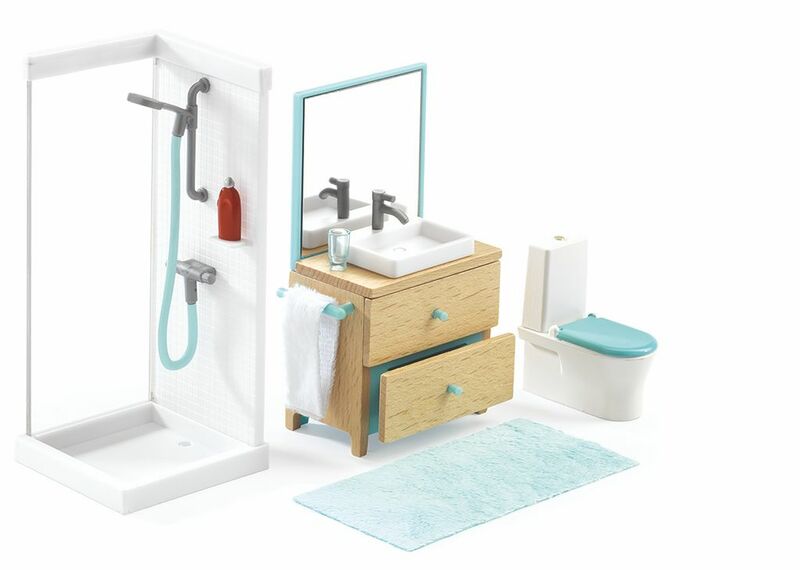 Inspired by modern architecture, this dolls house bathroom is complete with a shower, a toilet, bath mat, sink with a mirror, a glass and a shampoo bottle. Materials: wood, plastic and fabric. Suitable for ages 4+ years. Box dimensions: 17 x 15.5 x 5.5 cm.